Here’s what’s up in the world of TV for Tuesday, October 18. All times are Eastern. 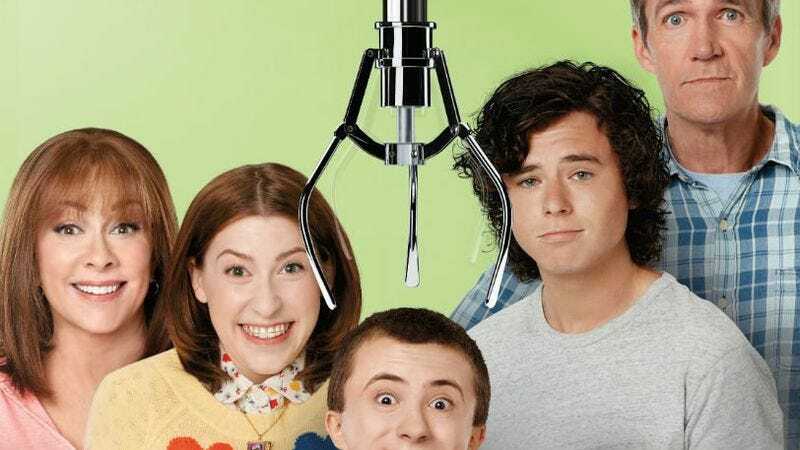 The Middle (ABC, 8 p.m.): So The A.V. Club isn’t doing regular coverage of The Middle this season. Even more egregiously, the premiere of season eight got left out of last week’s spooktacular Tuesday edition of What’s On Tonight. Many of you pointed out this error in the comments section. So here it is, listed as our top pick for this week. AVC readers will no doubt miss the weekly check-ins with the Hecks, so hopefully you’ll enjoy seeing them drop by the WOT beat every now and then. Marvel’s Agents Of S.H.I.E.L.D. (ABC, 10 p.m.): And what would Halloween be without ghosts? Or Ghost Riders, for that matter? ABC’s got it covered with the latest season of Marvel’s Agents Of S.H.I.E.L.D., which has heavily featured the motorcycle-bound demon in its fourth season. Tonight’s episode, “Let Me Stand Next To Your Fire,” brings him face to face with the agents as he continues his quest for vengeance and teaching Jimi Hendrix how to set his guitar aflame. Alex McCown-Levy is ready to jam. Black Market: Dispatches (Viceland, 10 p.m.): There’s not a whole lot going on in premiere and finale land tonight, unless real-life Yakuza stories are your thing. And really, why wouldn’t they be? Tonight’s episode centers on young gangsters trying to escape the older members of the Japanese mafia through underground fighting. Nightbreed: The Director’s Cut (Netflix): Clive Barker’s thesis statement on monster stories was once viewed as little more than a book report, thanks to over an hour of footage scrapped by the real monsters of Hollywood: the studio. Luckily, Scream Factory, along with Barker himself and many others, assembled a superior director’s cut back in 2014. Is it perfect? No. But it does have stronger character development and more of the supernatural beings of the title. It’s hard to go wrong with a porcupine lady, a man whose face becomes crescent from staring at the moon too long, and of course, Leroy Gomm: an ex-circus performer who has symbiotic eels living in his belly.